For whatever reason you need to migrate Exchange to Office 365, Shoviv Exchange Server Migration makes it automatic and easy. 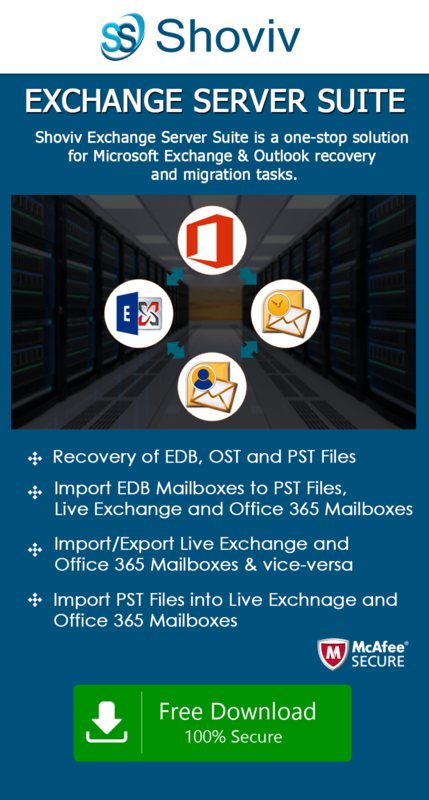 The migration is uncomplicated and complete, with source mailboxes like EDB files, Outlook stores, Live Exchange mailboxes, Office 365 mailboxes into Live Exchange, Office 365 and Outlook PST formats. The service is quite fast and the user gets the results hand-in-hand. There are a host of other facilities available with this tool which let the user migrate Exchange to Office 365 with expert dexterity. To migrate Exchange to Office 365 without the least of trouble, you will need these technologically advanced features coming with the Exchange to Office 365 migration tool. 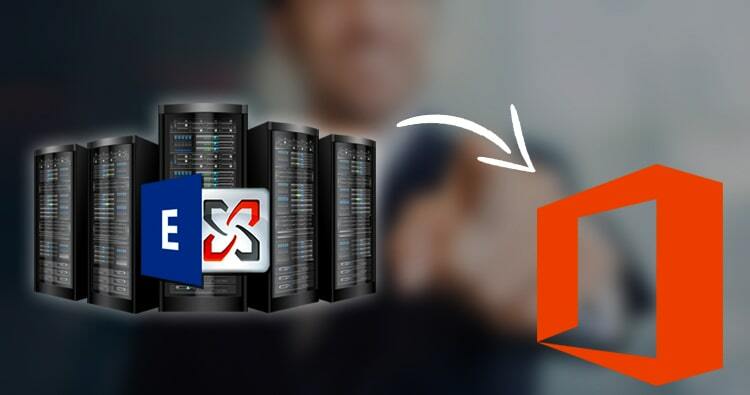 The PST format is quite popular and in demand among people who migrate Exchange to Office 365. This tool lets you save your files in this format without any struggle. The process to migrate the added mailboxes to Outlook PST format doesn’t compromise the safety of the files. In addition, the number of files the user wants their PST files split into is also decided by the users. Using this tool one can migrate Exchange to Office 365 with unexpected ease. The GUI of this tool ensures that the user doesn’t face complications in the process to migrate Exchange to Office 365, be they, beginners or experts. One can additionally also choose to move single or multiple files, whatever their need is. Migration of single or multiple source mailboxes to Office 365 or migration of Office 365 to Office 365 is also allowed. The public folder is especially sought after when one has to migrate Exchange to Office 365. This tool lets you do the same in an extremely simple way. Migrate Live Exchange/ Office 365 public folders/ and archive mailboxes. This rare feature lets the user migrate which folder they would want to move the data into once they have migrated Exchange to Office 365. While you migrate Exchange to Office 365 you can choose to move files in bulk. You would not have to worry about the files crashing or getting corrupted in the process since this tool is quite powerful can handle all sizes of files. So you can add source mailboxes without being limited by the size of the exchange mailboxes. You do not have to worry about the process to migrate Exchange to Office 365 disturbing the hierarchy of the files either. This software would arrange the files in proper order of hierarchy once the process to migrate files is over. This feature makes sure that the user has easy access to data files at all times. As the name itself of the feature suggests, it lets you preview data before the final step. You can preview your items before you click on the final step to migrate Exchange to Office 365. Using this feature you can see item body, attachment files, property, recipient etc. Using this feature is always advised since it would let the users cross-check the data and remain reassured regarding the kind of data they are sending for migration. In the process to migrate Exchange to Office 365 one often comes across the need to filter out data items. This feature lets you perform the same without having to deal with the entire database. The users can filter out the mailboxes they need easily with this feature. You would not have to deal with a mess when you have to search out any particular file either. With this feature of the tool, you can find out the file you need from any property you remember regarding it. The criteria allowed including CC, BC, attachments, message class, message date, subject etc. Migrate Exchange to Office 365 and then easily transfer them into the HTML format using this tool. This feature is loved for the convenience it provides and we provide that comfort to you. Once you purchase the tool you would get the full license of it and free customer support as well. If you face any complication in the process to migrate Exchange to Office 365 you can contact the client support service anytime you want. Also, you get the opportunity to check these features out for free with the trial version of this tool. Get the trial version and the full version from the link below!